No matter how large or small your plumbing needs may be, JC Plumbing can get the job done. With over 20 years of experience, we have the expertise to take on any plumbing problem. We even offer emergency after-hour services so that you can find the help you need, no matter the time of day or night. Emergencies are never convenient, that's why we offer around the clock, 24/7 emergency service to residents of Northwest Arkansas! Need a plumber but afraid of getting stuck with a large bill? 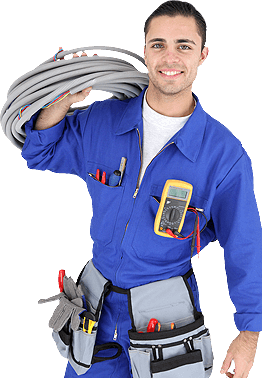 Our technicians will provide you with an upfront cost before doing any work. While we pride ourselves in delivering quality service, we also do our best to complete your job asap so you can get back to life as usual. Each and every one of our plumbers are experienced, highly trained and qualified to work on your plumbing. At JC Plumbing, we believe in putting our heart into everything we do. Whether you need leak detection services, garbage disposal installation, or even help remodeling your kitchen, you can depend on our plumbers. We strive to quickly and effectively handle every job we take on, so you can get back to enjoying your home. We are Verified, Approved and Top Rated by Home Advisor, and proudly stand behind all the work we do. We serve Springdale, Little Rock, Fort Smith, Rogers, Van Buren, Bentonville, Fayetteville and throughout River Valley, AR. At JC Plumbing, we take to heart 1 Corinthians 10:31, which says “So whether you eat or drink or whatever you do, do it all for the glory of God.” We believe in providing excellent customer service, quality workmanship, and honest pricing for every one of our customers. If you have an emergency plumbing need, give us a call at any time!